In a climate as hot as Singapore, air-conditioning is a must-have item, but unfortunately the AC units often really stand out in an interior and look like they’ve just been stuck to the wall. 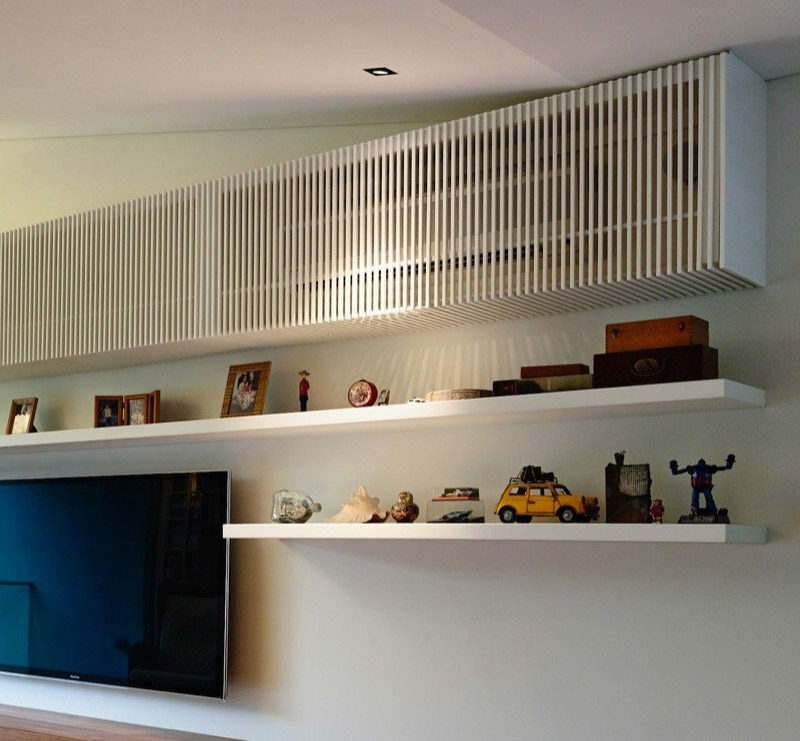 In this house, designed by ONG&ONG, the AC units have been hidden within cabinetry, allowing the AC units to still function, but also blend in nicely with the surrounding interior design of the home. The cabinetry in the kitchen, like in the living room, has been designed specifically to allow the air to flow into the room from the AC unit, while still allowing access the unit if needed for maintenance. 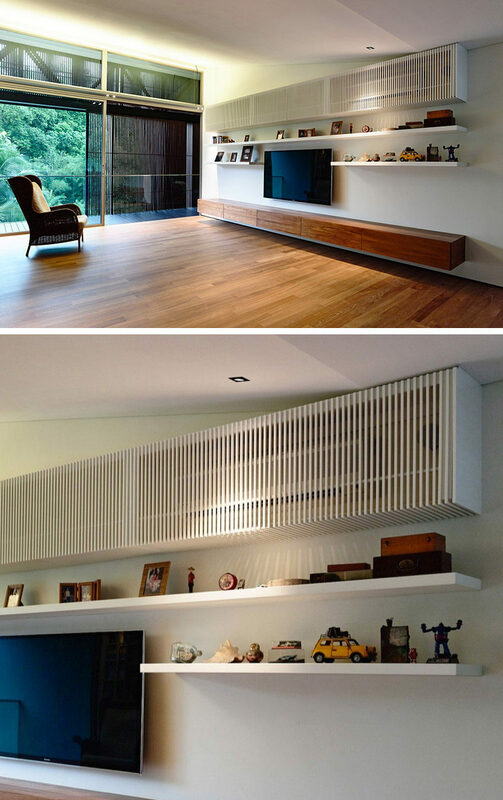 For more ideas on how to hide an air conditioning unit, visit our other posts – here and here.